I’m starting to write this post when Ignite 2018 is approaching the end, so the time is preparing for a summary. A year ago, when I wrote about Ignite 2017, I thought that the conference was presenting revolution solutions to the market in many areas. I had a sense of wow – maybe because I was in the USA for the first time 🙂 . But I’m a passionate Microsoft fan for a long time. Now the conference is still great, but there’s no something amazing. The guiding idea was digital transformation. If anyone interested in you read more under this link. I will start with Keynote and Satya Nadella’s speech. Maybe I am exaggerating, but I had the impression that the Microsoft’s CEO has an hour on stage and must somehow fill it. Really. And many other people said that his speech was completely bland. 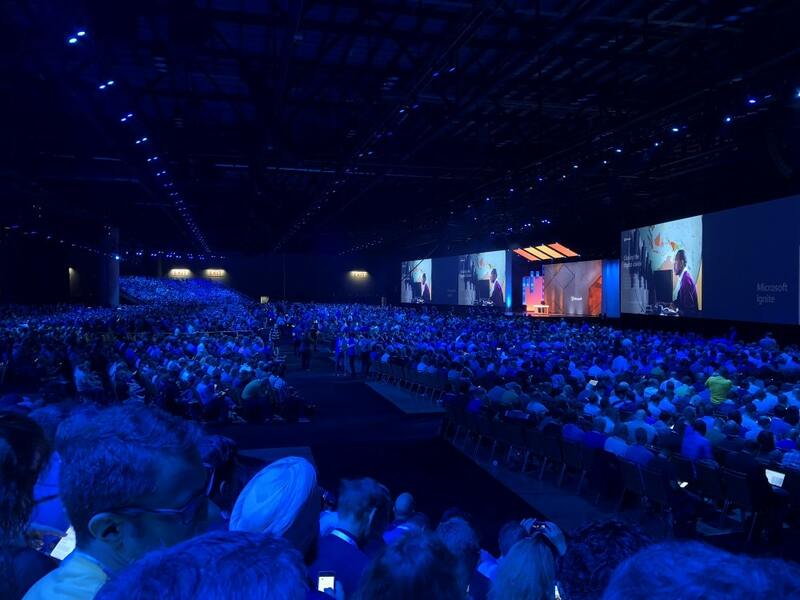 Adobe and SAP alliance in the field of shared use of data? So far, no details, so it’s hard to say anything more. Charitable programs are important and needed, but where are all those crazy things for geeks here? Besides zero particulars as for me. Cortana – are you still alive? Office 365 and SharePoint are my main interests, but honestly, nothing has failed me as the lack of any major news or announcements that would apply to assistant Microsoft Cortana. It will be Cortana Skills Kit for Enterprise, but what about me? Some time ago I turned it on in my Windows 10 thinking that it might be an interesting experience. Nothing of that. Cortana really can do very little, and what’s more, she sometimes works, and sometimes not – you can scream Hey Cortana, and she will be like a deaf. And I heard a news that earlier or later, Alexa will permanently reside in Windows 10. Already, some of the laptops sold in the US have Alexa installed. 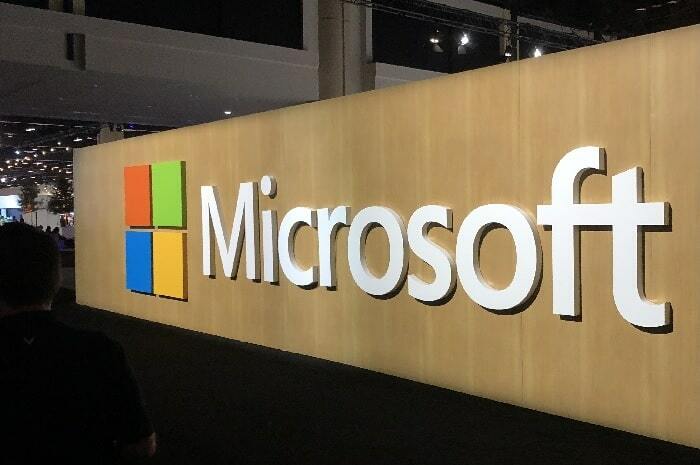 For anyone who was on site or watched Ignite 2018 it was clear that those technologies are Microsoft’s future and core business in the years to come. Already, Microsoft Teams have all the functionalities of Skype for Business, and new options are added all the time. It is very cool to be able to create your own solutions using the SharePoint Framework. You can see that all these technologies are penetrating more and more and are starting to form a very coherent ecosystem. For example, it will be possible to write a bot to which we will be able to call from the Teams level and ask questions. Cool 🙂 ! Soon, Microsoft (November of this year) Microsoft Teams will be available in the Graph API. I also like the direction Flow goes. It is not a perfect technology, but the possibilities that appear in it are really impressive. For example, a process that reads incoming emails from attached PDFs and extracts personal data and loads them, for example, into Microsoft Dynamics. It’s really awesome. From other things I remembered is a broadcast in Microsoft Stream. This can be a cool option in a large company when you want to make a live streaming event. Another great feature is the ability to search a recordings for a phrase. So imagine that you have a recording from a meeting at Microsoft Teams and you are looking for a word that has been spoken. Works great. What’s more, this option is also available in OneDrive. Smart hints in the Office suite. In a big simplification, this means that AI analyses our document and proposes solutions that will make it better. I saw it live. Sometimes there are very cool effects. PowerShell. I was in one session and I will tell you how to take off. I do not remember its number right now, but anyone who has any contact with PowerShell should see it. It was run by guys who belong to the product team. PowerShell is open source at the moment, and the new version (6.1) brings, among others, the ability to manage cross-platform. Chad. But it is also not about knowledge in this case. The way of conducting this session was ewesome. Anyone who wants to or should have a presentation should see how professionals do it. Well, that’s probably enough. I encourage everyone to watch the session recordings, they should be available soon. Of course, some of them are a waste of time, but many of them are worth every minute. You can learn a lot, and what’s more, you can have a lot of new ideas for implementation in your organization. That’s why I love Ignite. After 5 days, I have my head studded with ideas and inspiration. And it’s time to Ignite 2018 attendee celebration. A year ago it was superb so I hope that this time I will play like a child again.